Smart home devices are poised to be the next big thing on this planet. The world is becoming more and more connected as inanimate objects around us are now crossing path with human lives through technologies such as Internet of Things. There are so many devices, sensors, and many other digital devices that you can interact with or run the entire house with a single gadget. If you think that technology due to the Internet has changed your life, then you need to think again. 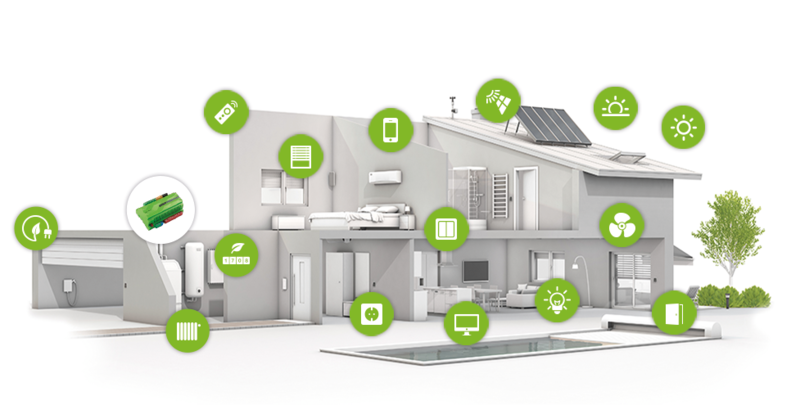 Internet of Things with a flawless speed is going to change it all over again with integrations like Smart homes and other connected products won’t just be limited to home life. IoT has made a global nervous system using a smart phone, which can now act as a multipurpose pocket computer for you, and can take care of even the smallest activities and stays connected with the individual where ever you go like living, moving or shopping that is how we make our purchases and astounding amount of personal information including how we get energy for our homes. It is useful to the person, developer, adapter, and so everyone to store any sensitive data, are recorded under the third party cloud storage systems where the privacy is generalized to the cloud systems. IoT will surely expand the boundaries of all the present generation networking systems and thereby securing our homes also. This technology is helpful to offer security during the time of an emergency as everyday all the ordinary and sensitive or personal household appliances and information is connected to each other by IoT. A cognitive home creates a materialistic environment by adapting to the patterns of easy lifestyle preferences. In the near future the number of smart homes is being expected to increase from 83 million from 2016 to 193 million in 2020, this includes all smart appliances and other smart home security system and smart home energy equipment, like smart thermostats and smart lighting. Cognitive systems, customize systems and devices and content in real-time, after detecting at the present scenario in case of our house it’s the room’s ambiance. 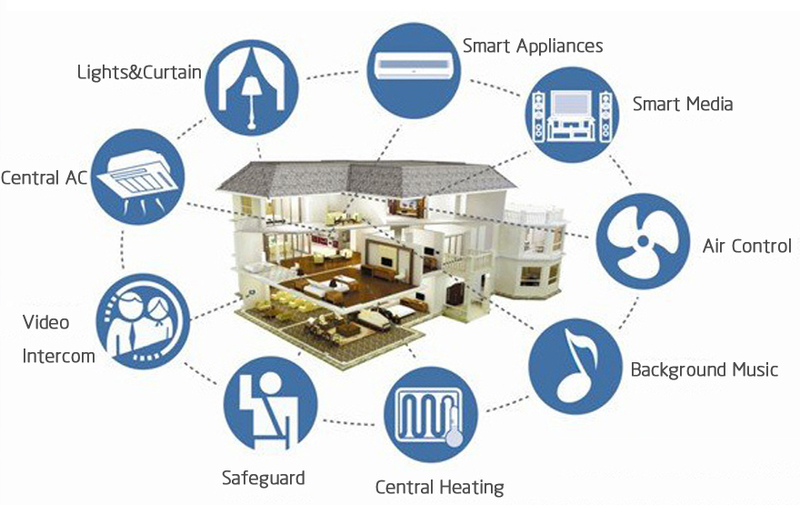 Iot home security products generates a framework consisting of three general technologies including information technology, operation technology and consumer technology completing a round service provider by connecting different things together. The use of IoT in many commercial businesses is of great advantage. They offer integrated security products by providing centralized products, services providing right solution to extend the ability towards progression. Here are some of the IoT related devices that are used by people now days for security purposes. Amazon smart things monitoring home kit: To keep your home and family secured, the complete smart home monitoring kit used to automate your home’s electronics, servers and other systems to keep track of who’s coming and going with setup that takes really little time for installation. Canary: It is not a normal security camera it is an indoor, outdoor weather determining HD security camera with good memory and smartly adjusts the angle of the camera and is a wireless camera. It contains a built in microphone and a speaker and reports the information into your device. Honeywell Smart House Products: Honeywell also offers a huge lineup of products related to home automation and security and provides a technical support for its device installation. It has a unique master code which can be changed with detailed authorization and after many failed trials the alarm sets on indicating a threat or an alert. Netatmo Welcome: It is a Wi-Fi connected camera that can recognize your face and moves your face from one section to the other that is to your family, relatives etc. It has a wide range of mega pixels in the camera with 360 degree rotation with motion real-time technology. 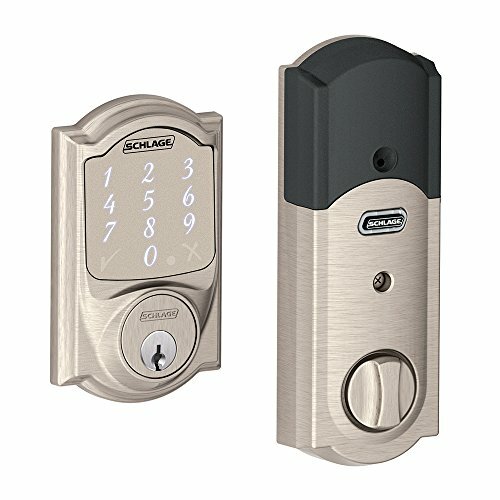 Schlage: It has many features and benefits after installation of this device. It has a programming code which is used to install the door lock with a unique code providing high intense security. The programming code is used to access and change the door lock with limited time for code trial. The data here is transmitted to the user which can be Wi-Fi or Bluetooth based. The smart phone can act as a multipurpose pocket computer for you, and can take care of even the smallest activities and stays connected with the person where ever you go and astounding amount of personal information including how we get energy for our homes is gathered here and many other activities can be performed on the device where web browsing happens, financial information, health information, gps navigation takes place and even many pictures and videos are present. But what happens to our data is one of the questions that arise to everybody. We all know that our data is stored locally on our devices and these data are located at the third party cloud storage systems and here all the data can be accessed and privacy is one of the main issues for the sensitive data. These cloud security systems are prone to security attacks where the data can be accessed to the wrong hands. Every day the ordinary as well as other important appliances which are embedded chips are connected by sensors and these devices may increase tremendously in upcoming years. Hence to avoid any security attacks, devices such as bitbox or many other apps are installed into your device which provide a backup to your data access and securely collect data within your own devices or your own network. Every bit of data is encrypted individually and the permission to access the data is given to the primary user only. These security devices provide circles of thicker layers to provide any foreign access and these may be personal, professional or any medical data. An efficient, low power consumption and low cost embedded access control system for smart home security and remote monitoring based on motion detection is very important for wide range of commercial and security application. Nowadays most of the appliances that we interact with contain embedded devices such as microprocessors and microcontrollers. All of these appliances have some user interface, but many users become frustrated with the difficulty of using the complex functions of their appliances. Many countries in the world have adopted this technology and the most advantageous part of this technology is that you get to know who is there at your doorstep providing you and your family high security. The entire process depends on the chain of devices connecting the infrastructure completely with sensors and other devices and these devices connect the physical world to the server world. The main model of these devices include a central operating system which is connected to many devices which serve the central system and these devices are further connected to the chain of more devices such as sensors or data trackers to monitor the condition which are connected with wires or wireless to the main devices. For example in an aircraft there are four IoT systems which are used for the tracking of 218 different threats which contains sensors actuating systems which are put together and the data is sent to the main control devices and displays it. In case the threat occurs the system the main user contains a tool where a security threat warning would be given. These home security systems does not use any smart- phone application or any type of user interface instead uses digits from the keypad of your smart phone, the system is not dependent of the platform and hence can be accessed from a wide range of phones with different operating systems. Thus, the IoT is removing humdrum of ordinary tasks which are done repeatedly or creating things that were not possible earlier, enabling more people to do more gratifying tasks thereby leaving the machines to do the same monotonous jobs which was said by one of the great researcher but there are many consequences that are caused as each and every thing in this world does have a dark side too and hence using anything thing in the right way may lead to reduced risks and comfortable life. Although IoT has many cons but this technology has changed the future revolution of humans and thus in turn returning an easier lifestyle. I hope you have liked our article, Please share it with your friends on social networking websites. Read our blog regularly to get iot latest news .